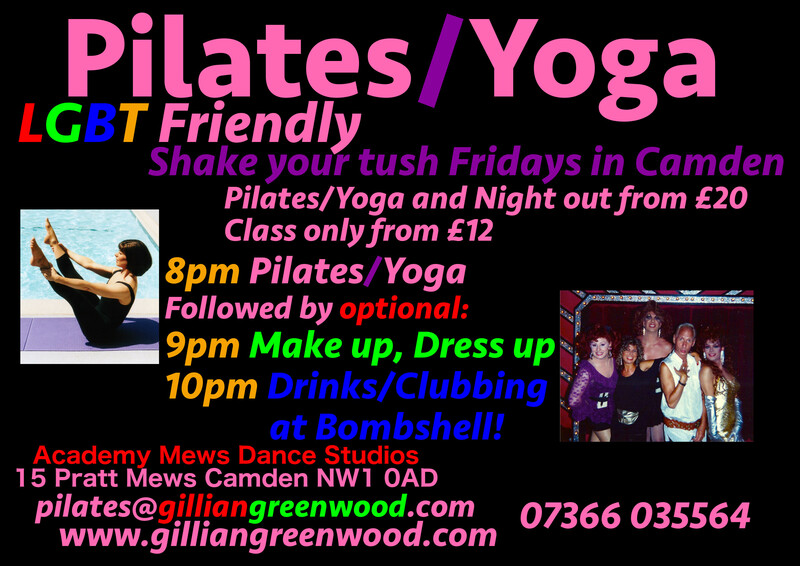 This is a class for anyone interested in looking fabulous and enjoying the best of Camden’s Nightlife. LGBT friendly. Beginners welcome. Pilates, Yoga, Makeup, Make Friends, Make Believe, Make your Wildest Dreams come true. First of all we meet and learn how to tone, strength and stretch our bodies, improve our posture, learn how to walk in high heels and feel confident. Then, if you wish, I can help you with your makeup and overall “look”. We strut down to a friendly bar and enjoy Camden’s glittering nightlife. Own it girl! – You read out it, dreamt it…now you can Be It! tfl walking guide. We are less than 5 mins walk from Camden Town Tube, walk down Camden High Street, Pratt Street is almost opposite The Blues Kitchen just past Waitrose. Walk down Pratt Street and Pratt Mews is on your right.